Spring is finally here! Well, in New Jersey we are unfortunately experiencing quite a chilly start to spring. Either way Mia and I wanted to welcome spring with a fun and simple craft. After spending some time digging through our craft baskets we decided to make wooden dragonflies! This adorable craft uses minimal supplies and only take about 10 minutes to complete (after the pieces are painted). Mia absolutely loved making these and enjoyed that she needed minimal assistance. I hope that your children enjoy making these as much as we did! To start mix some glitter in with the color paint you are going to use for the wings. 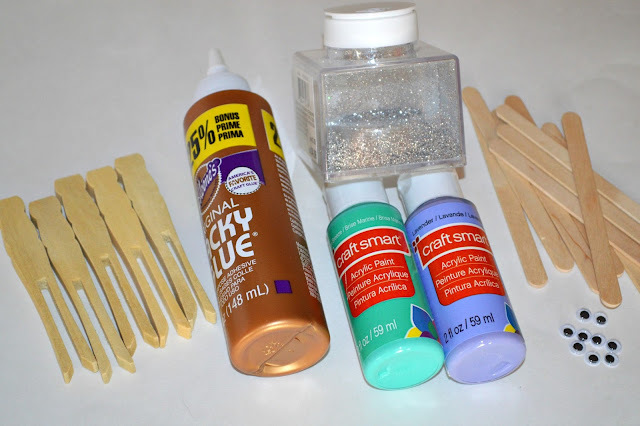 Once the glitter is mixed in fully paint the popsicle sticks. Use the other color of paint to paint the clothespins. I love using parchment paper when we paint. We can put the pieces we down on it after we paint both sides and they won't stick! Once the popsicle sticks and clothespins are dry you are ready to assemble your dragonflies! Start by taking two popsicle sticks and gluing them together to make an X shape. 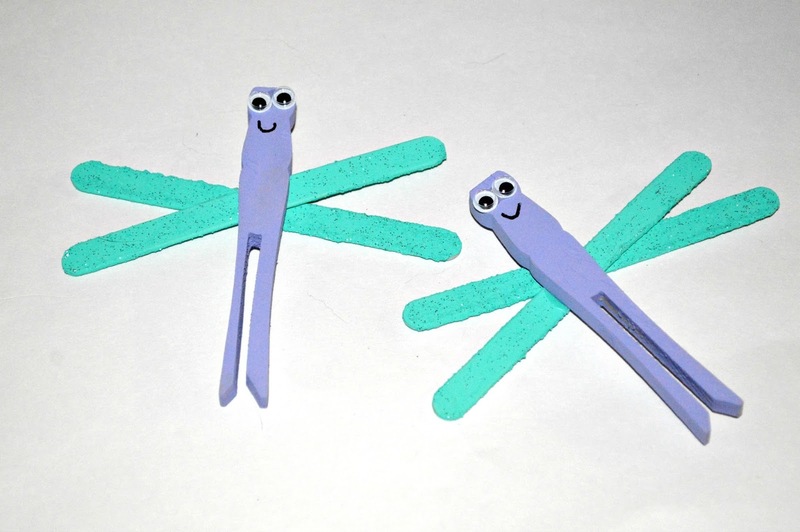 While the glue is dying use some glue to attach googly eyes to the clothespin. Next attach the popsicle sticks onto the back of clothespin. Once everything is done drying use a marker to draw on a mouth. Now your dragonflies are all done! 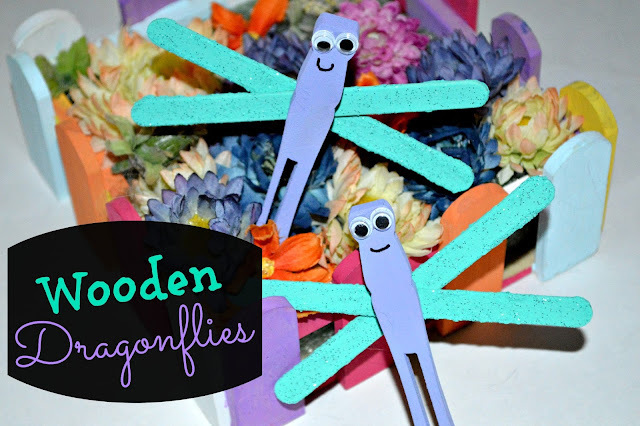 We love these wooden dragonflies! !